New semester, new teachers and new friends often also means new clothes, new cell phone, new computer and plenty of nights out on the town. How do students manage to pay for all these expenses? A credit card is an easy solution and getting approved can be easy as pie. However managing how you spend the money and paying on time is the challenge. According to Maclean’s Magazine, 9 students out of 10 have a credit card but the question is whether students really know how to use one responsibly. It is no wonder that financial institutions seek out students as customers; students need money, especially during back-to-school when tuition and school books are a major expense. While many banks offer student friendly perks, it is important to remember how owning a credit card can be a double-edged sword. It can help balance your budget and build credit but, if used irresponsibly, can put you into trouble for years after you have graduated. “Students should not be living on money they don’t have. They should calculate their cost of living with incomes if they work and establish a strict limit for the expenses,” said Kylie-Anne Doerner from the Consolidated Credit Counselling Services of Canada.Students should take precautions with their credit cards by setting up a budget. It is important to consider the reasons why you should get a credit card. Getting a credit card for a shopping spree is a bad idea, as is planning a whole Europe trip and charging it to your credit card. According to Valeria Fargnoli, an account manager at the Royal Bank of Canada, students should only use their credit card in case of emergency. Banking has become more electronic which can make it hard to grasp how we dispense our money especially when all it takes is the swipe of a card. For some students it may be better to use cash. However, when the end of the month rolls around Smith is left sitting with a maxed out credit card and a whole lot of regret. 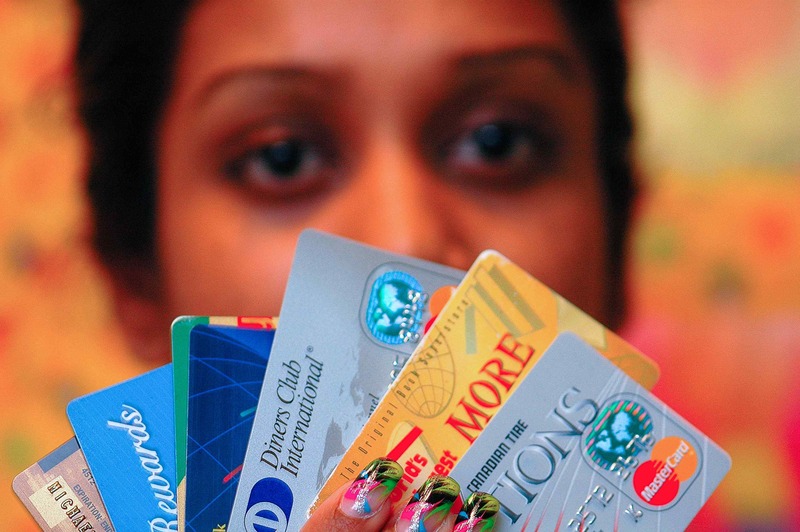 CCCSA recommends that students own credit cards but that they should be used responsibly. One way of doing this is reading the fine print. The majority of credit cards have a 19.99 per cent interest rate. Credit cards sold and solicited over the counter at stores often have higher interest rates of 25 to 40 per cent. Contact your financial institution and get informed on what benefits there are to being a student credit card holder. Many banks offer reward points like Air Miles, Aeroplan, movie points and student price card discounts. Paying your credit card balance is the next step. You have 21 days to pay your credit balance after the final day of your bill’s cycle. CCCSA recommends paying the full balance of your account to avoid situations in which that $12 school book triples in price due to monthly interest. Programming automatic transfers to your credit card is an option to ensure timely payments. Financial stress weighs heavily on students who pay rent, tuition, school books and the occasional round of beers when out with friends. However, being aware of money spent and keeping informed on the amount a credit card is swiped is something that students should start and continue to do if they wish to remain financially stable.